I must say, I think my old blonde hair would have suited this outfit better - but regardless I love it! 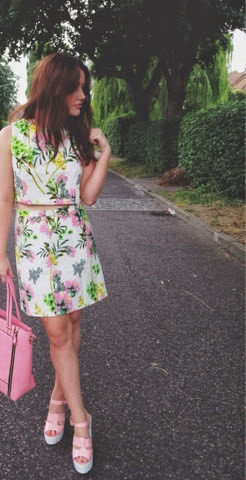 It's so girly and gorgeous, perfect for the summer! If you haven't already noticed by my instagram, I am obsessed with pastels. This floral co - ord is from Elle Belle Attire. I'm obsessed with their pieces! They're perfect if you're a fan of the pretty and classy look. 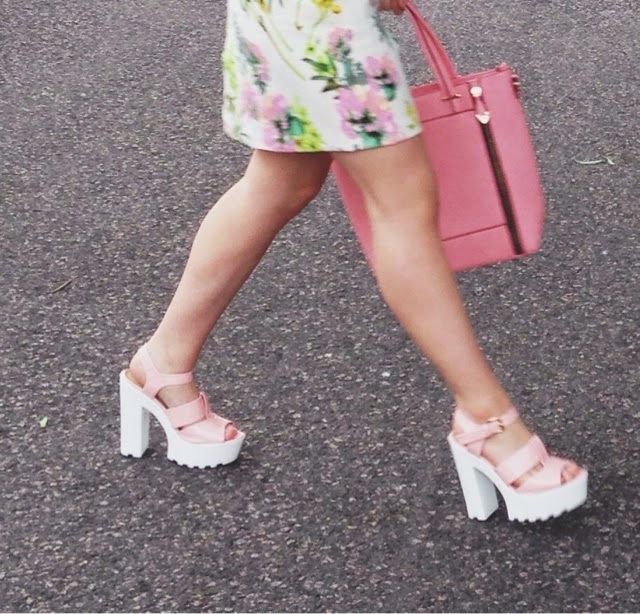 I decided to pair the co - ord with pink accessories to follow the girly vibe. My shoes are from the amazing ShuSole (where else?!?) and they're SO COMFY. If you've been following my blog for a while then you will know I work with the brand closely and I would not recommend comfier shoes! They're bang on trend too! My bag is from Lamoda ... one of my favourite for gorgeous accessories, shoes and bags! 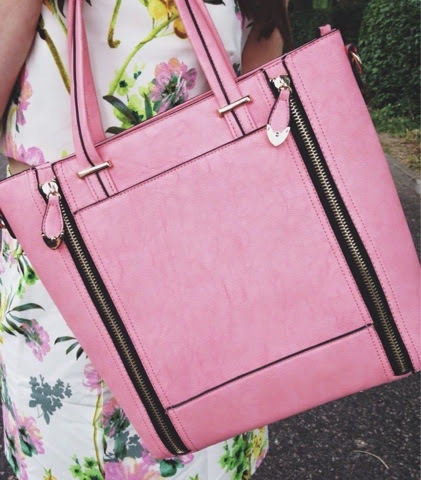 Lamoda have taken the blogging world by storm recently and I have taken a particular interest in their bags. This pink one is spacious yet glam, and thats why i love it!